Project Kics Dency 2000 Wheel Bolts UNIVERSAL - Dezod Motorsports Inc - Home of the automotive performance enthusiast since 2002. 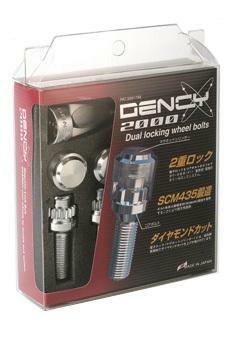 The Dency 2000 Dual Locking Wheel Bolts have been designed for import cars that required the ultimate in wheel locking technology. Suitable fitment available for import cars, including Mercedes, BMW and Audi.